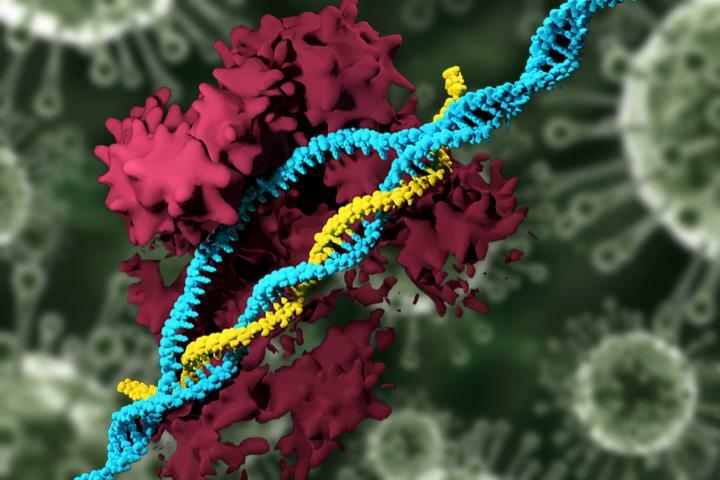 CAMBRIDGE, MA — In a new study, MIT researchers have developed nanoparticles that can deliver the CRISPR genome-editing system and specifically modify genes in mice. The team used nanoparticles to carry the CRISPR components, eliminating the need to use viruses for delivery. One of the genes targeted in this study, known as Pcsk9, regulates cholesterol levels. Mutations in the human version of the gene are associated with a rare disorder called dominant familial hypercholesterolemia, and the FDA recently approved two antibody drugs that inhibit Pcsk9. However, these antibodies need to be taken regularly, and for the rest of the patient’s life, to provide therapy. The new nanoparticles permanently edit the gene following a single treatment, and the technique also offers promise for treating other liver disorders, according to the MIT team. The research was funded by the National Institutes of Health (NIH), the Russian Scientific Fund, the Skoltech Center, and a Cancer Center Support (core) grant from the NIH.